The greatest super hero of all time returns! The world may have changed since Spidey's been gone, but so has Peter Parker. This is a man with a second chance at life, and he's not wasting a moment of it. But his old foes are back as well - re-energized, out of control and madder than ever: Electro and the Black Cat demand revenge! And as if dealing with them isn't enough, a new revelati on rocks Spider-Man's world to its core: the radioactive spider that gave Peter Parker his powers bit someone else, too! Who is Silk, and where has she been all these years? Find out as Peter Parker retakes his life, putting the "friendly" back in the neighborhood, the "hero" back in "super hero"...and the "amazing" back in "Spider-Man! "COLLECTING: AMAZING SPIDER-MAN 1-6. 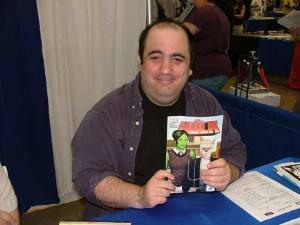 Dan Slott is an American comic book writer best known for his work on books such as The Amazing Spider-Man, Arkham Asylum: Living Hell, She-Hulk, and the twice monthly The Superior Spider-Man. He lives in New York City.